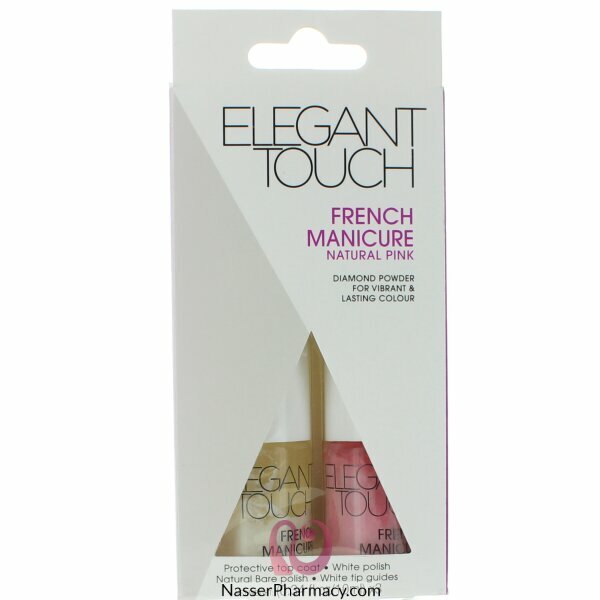 Contains diamond powder for vibrant and long lasting colour.French manicure is versatile look that' never out of fashion. Rapid dry formulation is enriched with Diamond Powder to promote strong nails. Two different brushes are used to ensure a perfect finish, Protective Coat with soft bristles for smooth and even application whilst White Polish has stiff bristles for more control.